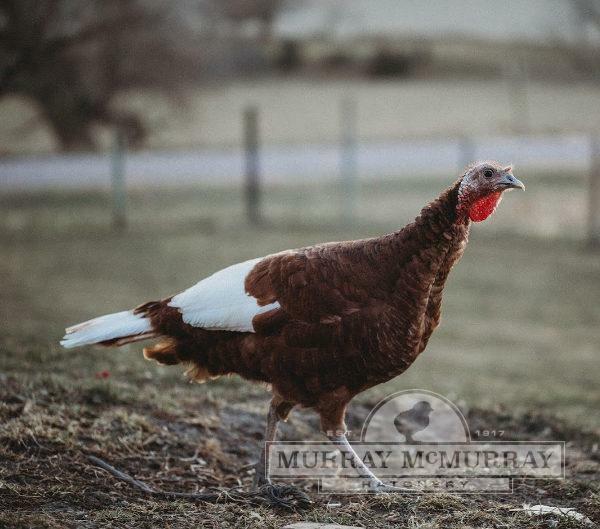 Many people feel that this turkey is one of the most beautiful of all turkey varieties. It has a very dark, rich, chestnut color that is edged in black on many of the feathers. The wing tips and the back one half of the tail are white giving it a very striking appearance. 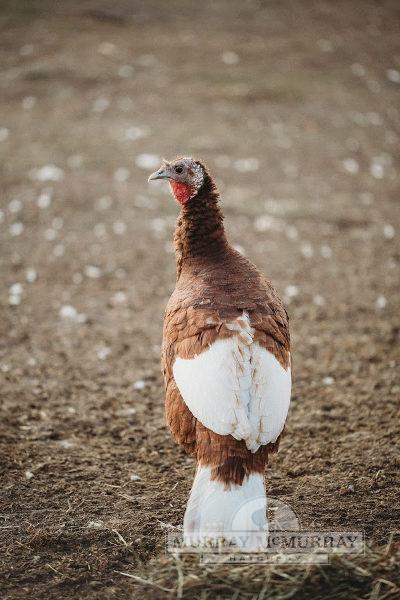 It will not grow as large or as fast as the bronze or white turkeys but is good to eat and will be a wonderful addition to the farm. We are no longer shipping turkeys to Alaska. What is the best feed after 8 weeks? We recommend turkey starter feed (28% protein) til 8 weeks of age. Then turkey grower feed (20-24%) from 9-16 weeks of age. After 16 weeks of age, we suggest turkey finisher feed (16%). Sorry, we do not offer sexed turkey poults of any breed. How long does the Red Bourbon take to mature? It is suggested butchering Bourbon Red Turkeys around 25 weeks of age. Yes, the bourbon reds can reproduce naturally. On average they will lay between 50-100 depending on environment and what breed of turkey. Can I add 5 or 10 turkey's to an order with 25 chicks or does it still need to be a minimum of 15 turkeys. Turkeys do not hatch at the same facility as chickens. They are separated for disease control. We are unable to ship turkeys with chickens. The shipping minimum is 15 turkeys. What do you feed baby turkeys? Turkey starter feed, 28% protein.